Courtesy of Rhonda L Mortensen, Compass. 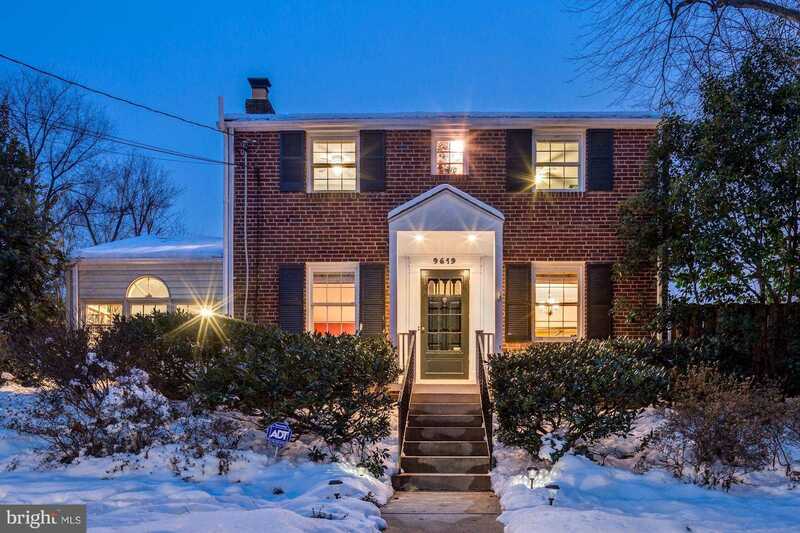 This magnificent brick colonial home sits up high on the street in the North Hills neighborhood of Silver Spring. With alley access behind the house that leads to a two car, detached garage you’ll never have to worry about parking! Park your car and the house is just steps away. With tons of natural light, big windows throughout frame the beautifully landscaped yard with koi pond and garden for entertaining. Please, send me more information on this property: MLS# MDMC488724 – $849,000 – 9619 Brunett Avenue, Silver Spring, MD 20901. I would like to schedule a showing appointment for this property: MLS# MDMC488724 – $849,000 – 9619 Brunett Avenue, Silver Spring, MD 20901.